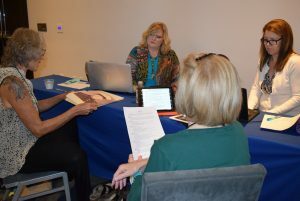 NCRA members have the opportunity to earn Professional Development Credits (PDCs) by providing pro bono CART services under a collaborative program agreement with the Hearing Loss Association of America (HLAA) that began in February. The program is intended to help HLAA chapters across the country provide quality CART for their monthly meetings in a more affordable way. The agreement will also help increase the awareness of CART captioning and its benefit for people with hearing loss. Under the agreement, NCRA-certified captioners can earn 1.0 PDC as part of the 3.0 Continuing Education Credits required every three years. NCRA members who participate in the collaborative agreement program will be reimbursed the fee assessment by the HLAA chapter to register the PDCs. “This partnership is another step that NCRA is taking to help people with hearing disabilities have their accessibility needs met. Captioning services provided by a certified captioner are the best and only product for people with hearing loss to be able to fully participate in HLAA chapter meetings,” said Matthew R. Barusch, NCRA’s State Government Relations Manager. Under the agreement, the HLAA national chapter coordinator will connect NCRA captioners to local chapters. 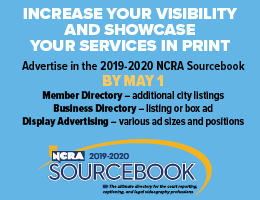 For more information about the collaborative agreement program or to sign up, contact Matthew Barusch at mbarusch@ncra.org. The Associated Press reported on Jan. 16 that the Arizona legislature is providing a live captioning service and looping technology for committee hearings for people who are deaf or hard of hearing. People can request captioning in advance through the Arizona legislature’s website. On Dec. 27, WINK News reported that a Miami-Dade County, Fla., man filed a complaint against the City of Fort Myers for failing to provide closed captioning for people who are hard of hearing. The CBC reported on Dec. 20 that the Grand Theatre in London, Ontario, Canada is reaching out to the deaf community to help make productions more accessible. The Grand has announced that for the first time it’s offering open-captioned shows as well as productions that will feature actors who are deaf or hard of hearing. The latest issue of the Hearing Loss Association of America’s membership magazine features an article about the Hard-of-Hearing Heroes Project in an article authored by April Weiner, Manager of the National Court Reporters Foundation. NCRF launched the program, which is funded by an innovation grant awarded by the American Society of Association Executives. The Silent Network, the nation’s first national television network geared to viewers who are deaf and hard of hearing, announced in a press release issued Oct. 26 that it has relaunched its television service. The Silent Network will present all programing in sign language, open captioning, and full sound, granting accessibility to everyone. The revival is the result of a new partnership between the Media Data Network (Las Vegas, Nev.) and the Deaf Television Foundation (Austin, Texas), which operates The Silent Network. An Oct. 19 article in the Houston [Texas] Chronicle spotlights Victor Lombrana, a Houston Astros fan who is blind and deaf due to Type 2 Usher syndrome. The article mentions NCRA member Susan Henley, FAPR, RDR, CRR, CRC, a freelancer in Houston, who captions the Astros’ and Rockets’ home games. 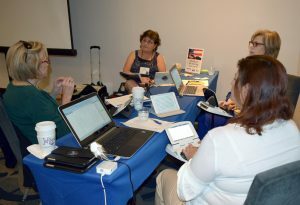 Left to right: Marylyn Howe is interviewed by Carol Menton while Liz Speer and Sheri Smargon write. 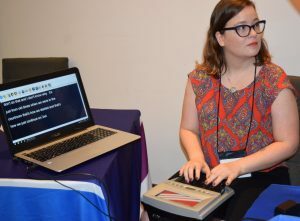 The National Court Reporters Foundation (NCRF) hosted a fourth Hard-of-Hearing Heroes Project initiative on Oct. 13 at the Association of Late Deafened Adults (ALDA) annual conference held in Orlando, Fla. The interviews will be transcribed and submitted to the Library of Congress for its Veterans History Project (VHP). Volunteer court reporters, captioners, and interviewers captured seven new interviews of U.S. war veterans, including the story of Maj. Gen. Charles W. Sweeney, the only American Air Force pilot to fly on both the Hiroshima and Nagasaki atomic missions during World War II. Sweeney’s story was shared by his daughter, Marylyn Howe, of Savannah, Ga.
Howe shared how her father’s career as a pilot evolved in the U.S. Air Force, that he had earned a Silver Star for his service, and that he also wrote a book called War’s End about his experience on the last atomic mission. Now out of print, Howe said the book will be updated with photos and other materials and reprinted in 2018. She also noted that her late father was instrumental in founding the Massachusetts State Air Guard and was actively involved in helping to establish such volunteer groups throughout all states. Left to right: Cheri Frady shows a picture of her husband while Laura Landerman writes. Marylyn Howe interviewed Frady, and Georgia Rodriguez also wrote. “It is very meaningful that veterans with hearing loss are being recognized and able to share their stories,” said Howe, an audiologist who has worked with veterans suffering hearing loss. “Many people don’t realize the hearing problems related to service and what a significant impact it can have on lives.” Howe also serves as co-chair of ALDA’s Publicity Committee. Howe provided a copy of her father’s book that will be included with the final transcript in the Library of Congress. Howe’s husband, Brian, a retired U.S. Marine Corps captain and pilot who suffers hearing loss from long-term exposure to jet engines, shared his story about his service in Vietnam. He also volunteered to interview U.S. Army veteran Ron Walker, SP4, from Merry Hill, N.C. During his interview, Walker shared that he earned the Purple Heart Award and two Bronze Stars for his service in Vietnam. Cheri Frady, St. Petersburg, Fla., the widow of Teairlton Frady, who served as a sergeant in the U.S. Marine Corps during the Vietnam War, shared letters he wrote home as well as a number of entries from his journals. These materials will be submitted to the Library of Congress with the final transcript. Frady also shared that her late husband was a Native American Onondaga and that he suffered health-related issues caused in part by his exposure to the powerful herbicide and defoliant Agent Orange used during the war. Left to right: Brian Howe interviews while Michelle Pulido Stubben writes Ron Walker’s story, seated next to Irene Walker. “It is an honor for me to do this. My son is a U.S. Marine, and I am proud of all of our servicemen,” said Nancy Rivera, RPR, a freelancer from Valrico, Fla., who volunteered to take down a veteran’s story at the event. “I was touched by the first time I did this. It hits home for me. I like to hear their stories and the emotion. It means a lot to them, and it means a lot to me.” Rivera noted that this was the first time she had participated in a live VHP event. The first time she volunteered for a VHP event was online. “This was the first time I participated in one of these events, and I had no idea what to expect,” said Laura Landerman, RMR, CRR, a freelancer from Altamonte Springs, Fla. “Most reporters don’t provide realtime or captioning, and since I can do both, I volunteered. I would do it again. 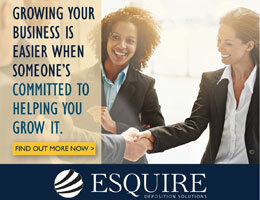 I liked that I could provide captions to aid the interviewer,” she added. 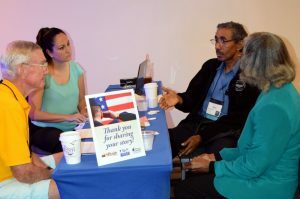 Liz Speer, FAPR, RMR, CRR, CRC, a freelancer from Apopka, Fla., who volunteered to transcribe as well as interview, said participating in the event was especially meaningful to her because her own father had served in the U.S. military. “The timing was just right. I lost my dad two months ago. He served in two wars, and he would have loved to have been interviewed. That’s the primary reason I volunteered. It’s also exciting to read those stories already down and know they are at the Library of Congress,” she added. Michelle Pulido Stubben, Orlando, Fla.
Sheri Smargon, RDR, CRR, CRC, broadcast captioner, Riverview, Fla.
Jamie Chancellor, CRC, broadcast captioner, Orlando, Fla.
Amie First, RDR, CRR, CRC, CPE, CART captioner, Orlando, Fla.
Maria Rodriguez, RPR, freelancer, Tampa, Fla.
Other NCRA members attending the ALDA conference included Pat Graves, FAPR, RDR, CRR, CRC, a CART captioner and agency owner from Monument, Colo., who chairs ALDA’s CART committee; and committee members Tess Crowder, RPR, CRR, CRC, a CART captioner and agency owner from Tampa, Fla.; Anthony Trujillo, RMR, CRR, a freelance captioner from Kissimmee, Fla.; and Rita Meyer, RDR, CRR, CRC, a CART captioner from Orlando, Fla.
NCRF’s Hard-of-Hearing Heroes Project initiative specifically seeks to interview veterans with hearing loss with the help of CART captioning. Hearing loss is among the most common service-related injuries due to constant exposure to loud noises in training and in combat, and it tends to worsen over time. In addition to preserving these veterans’ stories for the VHP, the Hard-of-Hearing Heroes Project introduces CART captioning, which is a service that may benefit these veterans in their daily lives. NCRF launched the Hard-of-Hearing Heroes Project at the Hearing Loss Association of America’s headquarters in Bethesda, Md., in February, where five veterans with varying degrees of hearing loss chronicled their service experiences. In June, seven veterans were interviewed during the 2017 Hearing Loss Association of America’s Convention in Salt Lake City, Utah. 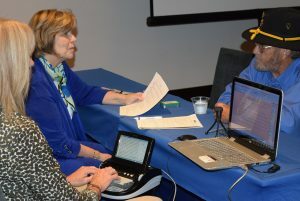 NCRA members have been listening and taking down veterans’ stories since NCRF partnered with the Library of Congress in 2003 to have court reporters transcribe veterans’ stories from their collection of now more than 100,000. In 2007, members were asked to preserve the stories of veterans who hadn’t yet recorded their histories through personal interviews and VHP Days. To date, NCRF has submitted more than 4,100 transcripts to the Library of Congress. NCRF’s Hard-of-Hearing Heroes initiative is supported by an Innovation Grant from the American Society of Association Executives Foundation. For more information, please visit NCRA.org/NCRF, or contact April Weiner, Foundation Manager, at aweiner@ncra.org. NCRA and its members give back through many projects and organizations. This month, Telecommunications for the Deaf and Hard of Hearing, Inc., and the Julie Brandau Community Service Memorial Project are highlighted. On Aug. 29, NCRA sponsored the 22nd TDI Biennial Conference, held in Bethesda, Md. The conference, which attracted hundreds of attendees, offered three days of panels and guest speakers addressing the latest issues affecting the deaf and hard-of-hearing communities. “NCRA has a long history of working with TDI to support the needs of the deaf and hard-of-hearing community, including shaping telecom policy recommendations of the Disability Advisory Council of the Federal Communications Commissions,” said Mathew R. Barusch, NCRA’s Manager, State Government Relations. “NCRA is proud to support TDI and looks forward to a continued partnership,” he added. In the wake of Hurricane Harvey, which devastated the Houston, Texas, area last week, two Julie Brandau Project–sponsored search dog teams, trained at the National Disaster Search Dog Foundation, have been deployed to the area to aid in search-and-rescue efforts. The teams of Patti Kraft and Billy as well as Andi Sutcliffe and Skye joined two other canine teams from the Texas Task Force in San Antonio to await their deployment. The Dallas-based teams also joined rescue teams sent from Los Angeles, Oakland, and San Diego, Calif. A local news station aired a story about the duo did responding to tornadoes that struck Garland, Texas, in December 2015. In addition, Kristi Bartlett and Ivan, based in Fairfax, Va., have been deployed in preparation for Hurricane Irma. 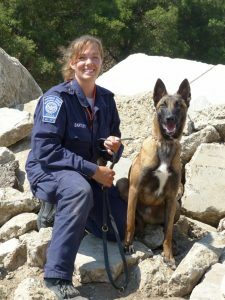 Bartlett and Ivan have also been sponsored by the Julie Brandau Project, and they are “part of one of only two FEMA Task Forces in the United States that respond internationally,” according to the National Disaster Search Dog Foundation. Bartlett and Ivan join teams from California, Pennsylvania, and New York. 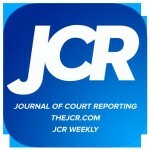 The Julie Brandau Community Service Memorial Project was established by the court reporting community in honor of the court reporter who was murdered in an Atlanta, Ga., courtroom in 2005. The National Disaster Search Dog Foundation rescues high-energy dogs and trains them to become search-and-rescue canines for firefighters and other first responders at no cost to their agencies.